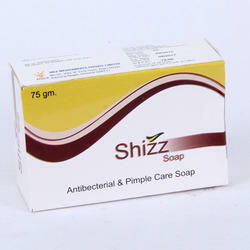 We are a prominent firm, engaged in offering our respected clients with an exclusive range of Anti Pimple Soap . Rupnikhar anti pimples/acne soap 50gm weight 60 rs mrp. 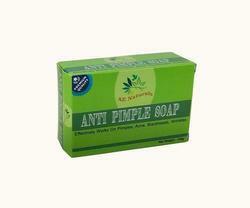 Atri rupnikhar soap specially makes remove acne-pimples from skin root. Also removing black & white spot & glow skin & give beautiful skin useful for all skin. Makes skin smooth & silky enrich with sandalwood, turmeric, aloevera, olive oil. Committed to fulfill the requirements of our clients through best quality medicines, we are engaged in providing an optimum quality grade Antibacterial And Pimple Care Soap. The provided soap is precisely processed by our adroit professionals using quality assured chemical compounds along with advanced processing techniques. this soap is made with calendula ext. , sandalwood pure essential oil and aloevera juice which is really helpful to get rid of pimple.